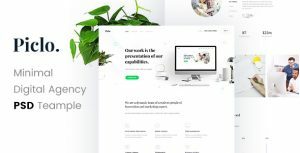 “ARTEMIS – Multipurpose eCommerce PSD Template” is modern, clean, multiple functions and professionally. It has 38 homepage layouts Options! 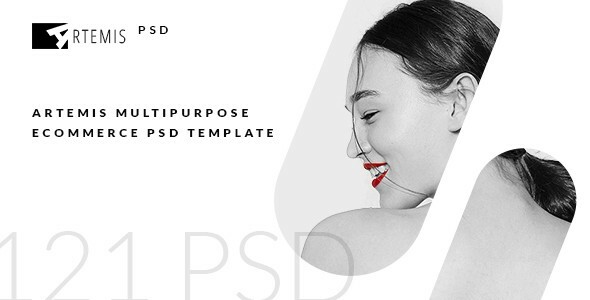 This template suits for any type of eCommerce, Shopping, Portfolio, Studio design, Fashion, Store, blog… The psd is designed on grid and can be easily conversion into responsive HTML, WordPress, Magento, Joomla and other systems. This is a perfect choice! 121 PSD files included – The design is very easy to customize. Based on 1340px Grid System. 17 Single post Detail Layout Options. This PSD theme is perfect for website project of eCommerce, Shopping, Portfolio , blog, WordPress, Magento, Joomla and other systems.